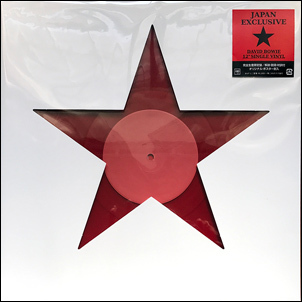 David Bowie - Illustrated db Discography > Blackstar 12"
Sold exclusively at the David Bowie Is exhibition in Tokyo, Japan. 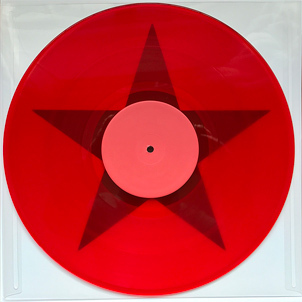 Red vinyl 12" in artwork comparable to the Blackstar LP, with spot varnish titles. Includes two inserts, one a large fold-out poster, the other a 12 x 12 two-sided lyric/liner note sheet.